EShop Hosts were established early in 2010 and originally formed from a successful small web development team that provided website design, custom php script and programming services to clients as well as owning and operating a number of online ecommerce web sites along with other selling activity on popular platforms such as eBay and Amazon. From our own online trading experiences, we fully realise the difficulties, frustrations and uncertainty that many new online traders go through and the amount of time that is wasted through making errors with their website set up, configuration and optimisation which often means drastic changes are required to their web shop many months after opening, once the set up mistakes are realised. Again from our own experience, we also understand that with hosting providers the support tends to be limited to hosting and server related issues only and not for Shopping Carts problems and improvements. That is where E shop hosts are Different…..
From the start our focus has been on the type of support we offer to our ecommerce clients and with our expertise and knowledge of the various open source ecommerce software such as Zen Cart, Open Cart, Prestashop, WordPress and the many more shopping carts available that are all widely used for ecommerce sites. We help online start ups and long standing online traders with all aspects of their website set up, appearance, optimisation, configuration as well as modifications requiring module installation and/or creation, all as part of our service. 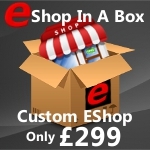 So, With many internet hosting providers offering a vast range of cheap hosting plans Why choose E Shop Hosts? We realise that you might think that all Web Hosting Providers offer pretty much the same thing and that we all just sell the hosting and domain registration services we provide on our servers to our customers. So what makes one Hosting Provider different from another? well E Shop Hosts are noticably different as we concentrate soley on ecommerce and it is the quality and level of service we provide, that is based on our experience and knowledge of shopping carts that benefits our customers most and makes us stand out from other Hosting Providers. E Shop Hosts customers are more than just numbers or statistics. Since starting we have regularly spoken to the majority of our clients over the phone and enjoy mutually beneficial relationships with our customers on the basis that if your online business grows then so does ours! and we firmly believe that your experience when dealing with us will always be freindly, professional and efficient. Our aim is to provide the best ecommerce hosting solution that caters for online shop owners of every experience level. To achieve this, our Support is not just limited to hosting related issues, we are on hand to help and advise on all aspects of Shopping cart configuration, module and template installation as well as Social media integration and many other tools to help your online ecommerce websites achieve traffic and sales. By offering Shopping Cart support and advice as part of the regular Hosting Support our hosting clients value us and the services that we provide, ensuring the growth of their businesses as well as our own. Our Hosting and Cart Software support is available by phone during normal office hours, our Live Support facility is available from 11am to 11pm daily and you can submit a monitored ticket through our Support Ticket Facility that is available 24 hours a day, 7 days a week. Remember Our Support is our Strength and is provided totally for free to all our clients. There are no premium charges to phone us, in fact we are a sociable bunch so we look forward to your call and when you do call, you will find our support team to be very knowledgeable, personable and efficient people. We fully understand that the internet constantly is evolving and with this in mind we regular monitor ecommerce trends and any newly available web tools and facilities. As a result, E Shop Hosts regularly add new hosting products and services to our range to help clients keep up with the pace. We offer a broad range of Hosting Plans that should cater for every clients need and we regularly consult with hosting clients to create custom packages to meet their needs. We have good relationships with many of the large Domain Registrars and because of this we regularly secure discounts on different domain registration prices that we pass on to our clients, so watch our Promotions section on our website or follow us on Twitter to receive notifications of our latest offers or Discount Codes. We offer the Original Shop In A Box package, a simple solution designed to get you online and selling from your own custom designed eshop, fully configured with all the modules installed that are required to optimise your site, integrated with Facebook and Twitter and a multitude of Shipping and Payment options that give you a head start making sales from your own website.